Police have named a man who died following a disturbance at a party in Barnsley. Adrian Fatchett, aged 52, suffered a serious head injury during an altercation at a property in Highfield Avenue, Athersley South. Police officers and paramedics were called to the home at around 8.20pm on Saturday, August 22. Mr Fatchett died a short time later and a 17-year-old boy was arrested. 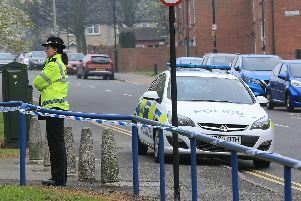 The teenager was arrested on suspicion of murder has been bailed pending further enquiries. Senior investigating officer Detective Chief Inspector Chris Singleton said: “The investigation in ongoing and we are continuing to look into the cause of Mr Fatchett’s death. Anyone with information is asked to contact police on 101, quoting incident number 1172 of August 22, 2015.